The first ever Film Gala in Nigeria has the whole social media abuzz. Hosted by cinema giant Filmhouse and luxury beverage maker Moët and Chandon, the event is aimed at celebrating groundbreaking achievements in the film industry. As promised, it was a night of exquisite dining, art and glamour, and not forgetting the most important aspect of all – FILM. The event was held at the Wings Tower in Victoria Island, Lagos. 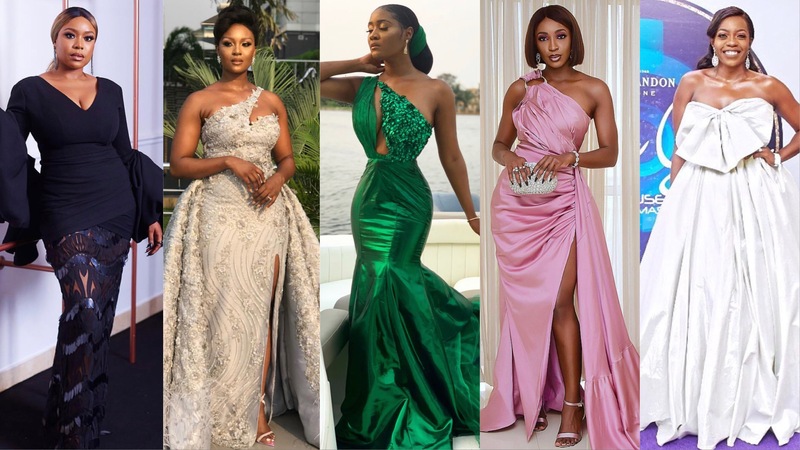 The gala hosts, Osas Ighodaro Ajibade and Gbemisola “Toni Tones” Adefuye already have social media on lockdown with their incredible looks. For their first looks, both Osas and Toni wore gorgeous works of art by Lanre DaSilva Ajayi. Osas stepped out in a second equally glamorous look; a beaded, silver thigh-high slit dress with a detachable train as designed by Toju Foyeh. Toni’s second look was a darling pink number with an even more daring slit, also by Lanre DaSilva Ajayi. The strictly by invitation event had a guest list that included industry leaders from the fashion, beauty and entertainment circles – think A-list celebrities, top models and popular socialites.